Using your iPad efficiently is a practice that most users are used to. But, there are incidences of accidental data loss due to deletion, a software glitch or iPad getting crashed for some other app issues. In case you are facing any such issues and want to recover your iPad data, then you must look for trusted top iPad data recovery tool for Mac. There are options aplenty in the market, but what sets the best one apart is ease of use, efficiency and reliability. So, if you are looking for such a tool then we have got your back. Speaking of the top 10 iPad backup extractors here is a list of the most coveted tools that you can use to enhance the experience. Here, we are going to feature 10 top iPad data recovery software for Mac. The top contender in this segment among the top iPad data recovery tool for Mac is Any iOS Data Recovery. Using this effective tool, you can preview the lost data prior to recovery. your iPad data can be retrieved completely or selectively from the backup. This software also fixes major iOS problems while repairing unstable iOS. It efficiently recovers more than 20 data types from your iPad (iOS device), iTunes backup or iCloud backup. You lose no data while recovering data with UltData iPhone Data Recovery. Beyond iOS data, it also supports app data and FaceTime restoration. It is available for Mac as well as Windows systems. Step 1:	Install iOS Data Recovery from the official website and launch it. Tap 'Recover from iOS Device' tab on the program interface. Step 2:	Now, get your iPad connected to your Mac and select the desired data type to be recovered and hit 'Start Scan' button. Step 3:	Once the data gets scanned, you are able to view it on the following screen and then press the 'recover' button for recovering the data that you have lost. Speaking of top iPad data recovery software for Mac, FonePaw follows UltData. It recovers data from your iPad, iTunes or iCloud backup. 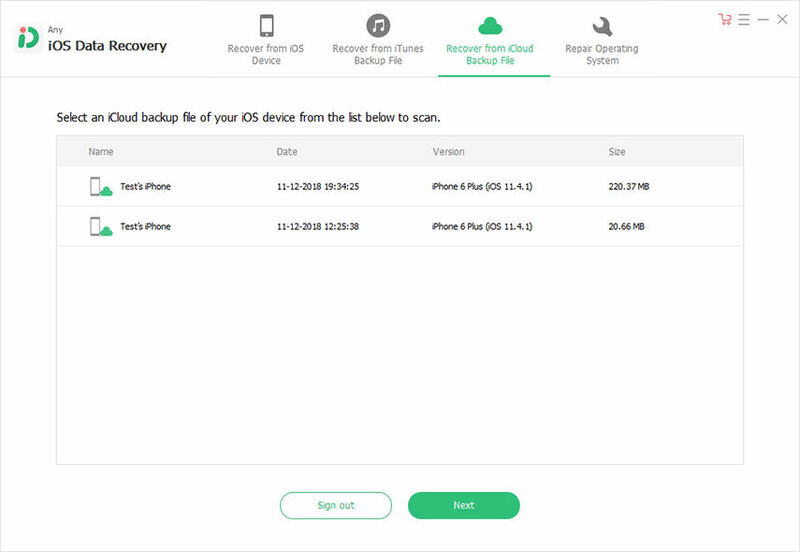 Media files can be recovered from your iCloud backup using this tool. It is a huge application occupying more space on your Mac. While recovering from iOS devices, photo and video thumbnails only get recovered. 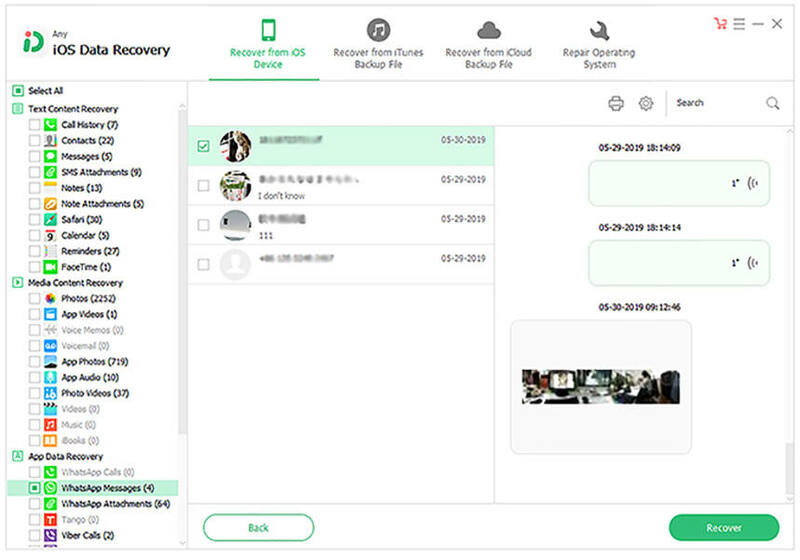 Leawo iOS Data Recovery is a reliable tool for recovering lost data from your iPad. This Mac software previews, restores and recovers your iOS device data even when you don't have a backup. The data type is restricted in comparison to UltData iPhone Data Recovery for new iOS devices. You need to register with this software for saving the recovered files. With this software you can recover data for latest iOS devices from the device itself, iTunes or iCloud backup. Being among the top iPad data recovery software for Mac, it can recover contacts, photos, messages, videos and call records on your Mac computer. You can't recover app data or game records with this tool. For major data recovery needs, you need to buy the pro version. This software from Wondershare can recover lost iPad data on Mac in three ways. Contacts, notes, SMS, photos, call logs, videos etc. are few of the recoverable data types. It supports the latest iOS and Mac devices. Little pricey compared to other programs. This software can recover missing photos, camera roll, videos, photo streams, app data etc. selectively or completely from iTunes and iCloud backup. Lost and deleted iPad data can be recovered for all iOS devices on Mac. It doesn't have a user-friendly interface. Using this software, you can recover lost/deleted iPad data. Around 20 data types can be recovered from your iOS device. Scanning process is time consuming. It can recover deleted iPad data from iTunes/iCloud or Smart recovery. Supports latest iOS versions and iOS devices. It supports data backup also. You can't use the main features with the trial version. AiseesoftFonelab can recover deleted or lost data from iTunes, iCloud backup and from your iPad. Contacts, call logs, bookmarks, calendars, photos etc. can be retrieved using this application. You need iTunes for scanning and recovering iOS device data. It is a top iPad data recovery software for Mac that can recover data from iOS device, iTunes and iCloud backup. It can recover 22 data types on your Mac. It has a non-intuitive interface. While looking for the top iPad data recovery software for Mac, we found out that UltData iPhone Data Recovery scores the brownie points. Apart from recovering data in 3 ways it also recovers FaceTime restoring and app data.